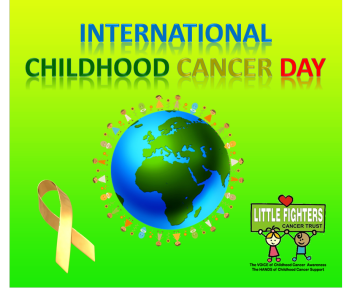 Marked in calendars across the globe, International Childhood Cancer Day aims to create awareness that cancer doesn’t discriminate by age. In Australia alone childhood cancer claims more children’s lives every year than any other disease. However, it isn’t all doom and gloom. In fact childhood cancer is a medical research success story. Fifty years ago childhood cancer was virtually untreatable. Today, research has turned that figure around and we now see almost 80% of children with cancer survive. Medical research has advanced our understanding of the genetics of cancer and has unravelled that childhood cancers are genetically less complex than adult cancers. We now understand that cancers are a result of genetic mutations. Where childhood cancer treatment was once doctors trying to kill cancer without killing the child first, today doctors are able to tailor treatments to these mutations to improve their effectiveness and cause less harm. There is still a long way to go in curing 100% of cancers. There are still cancers such as brain tumours and neuroblastoma where 50% of kids don’t survive. The only way to change this is medical research. Thinking of all our children fighting cancer as we speak…. ← Valentines recipe… Love Letter….Happy Valentines Day! !